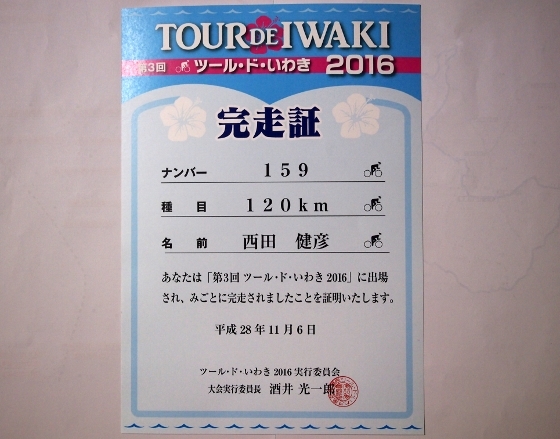 Iwaki City hosted a major cycling event today. 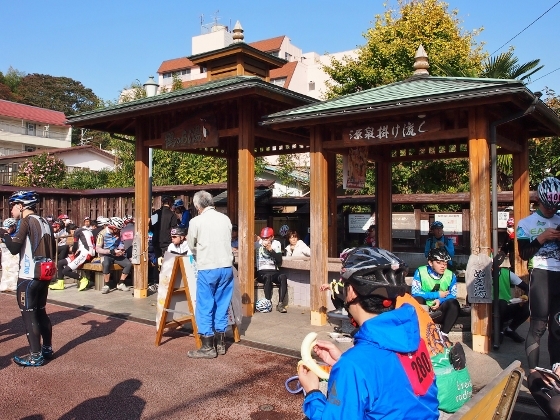 About 1000 chariders or cyclists participated from across Japan. 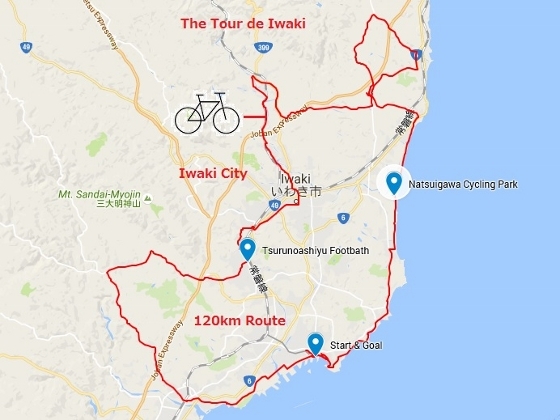 Iwaki City has the largest area in Fukushima and the route covered most of the coastline as well as broad range of inland area. 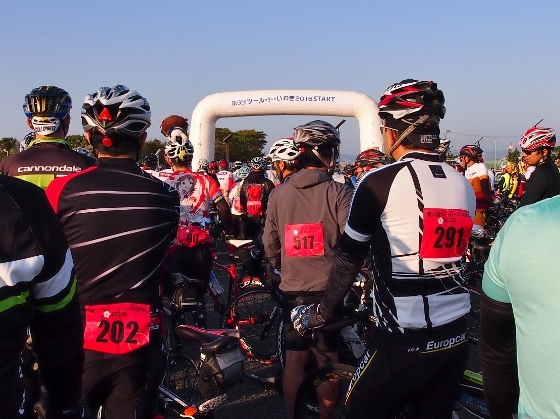 A photo above shows a crowded starting line with so many cyclists at Aquamarine Park, Onahama district. Photo above shows one of five aid stations on the way. It is called Tsuruno-ashiyu, which means footbath for crane. It is located in the center of Yumoto district, where a large scale hot spring resort from 1200 years ago exists. Something special happened today. 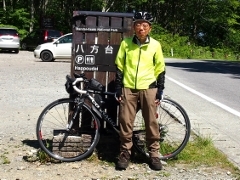 Some of my old colleagues at a company in Ibaraki Pref., where I retired five years ago, found me at the last aid station (18km to the goal) which was Natsuigawa Cycling Park. All of us were delighted to meet again (photo above) for the first time in 5 years and exchanged things occurred during the time. Then we all made the goal. I got a certificate of finish as shown above. I want to thank all the related people including volunteers for the safe return.